Anyone Tried WGA-Patcher 4.0 For Windows 7 ? Get ready, the NEXT WGA Patcher version is now available! With changes, improvements and more! 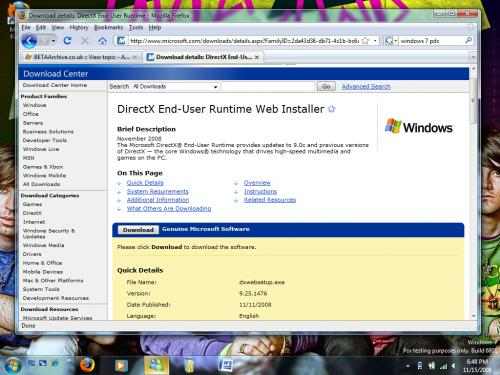 Before you begin, you MUST be running Windows 7[Under Development from Microsoft], ether X86 or x64. 2) Open "WGA Patcher Cyclone 4.0 Setup.exe" as Admin! (Right Click on your mouse the program, click "Run As Administrator." 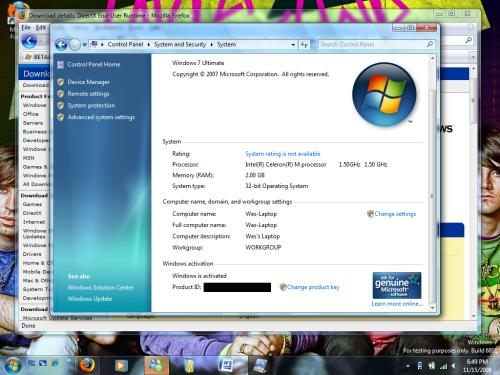 Windows USer Account Control will appear, so allow it. 3) After you have read the WGA Patcher EULA, you acceot the EULA, and press "PATCH" wait about 2min for it to patch, it may ask you to reset, so reset, an dmake sure you save all your work. Does Win 7 even require a WGA patcher? Vista never did. Even XP never needed a patcher, WGA could be passed with nothing more than .reg file. Edit: Or is this some sort of confusion between Windows Genuine Advantage and Windows Product Activation? i dont know because i dont have windows 7-build 6801, im waiting for the public beta . By reading his post and previous knowledge of this tool, I'd say it's a confusion between WPA and WGA. it claims to activate windows AND patch wga? You all do know that Windows 7 6801 can be activated with a universal serial? You're incorrect there, they can be activated with Vista RC1/Beta 2 serials and you get genuine, or the serials from the CD but those don't show up as genuine. I activated my install using just the serial and Windows Product Activation and it's genuine. No programs or anything. I will say it only once more, most of those keys work to activate because people like me have been going through them all and re-activating them over the phone so other people will get another 10 activations from them. So please get your information right before hand.